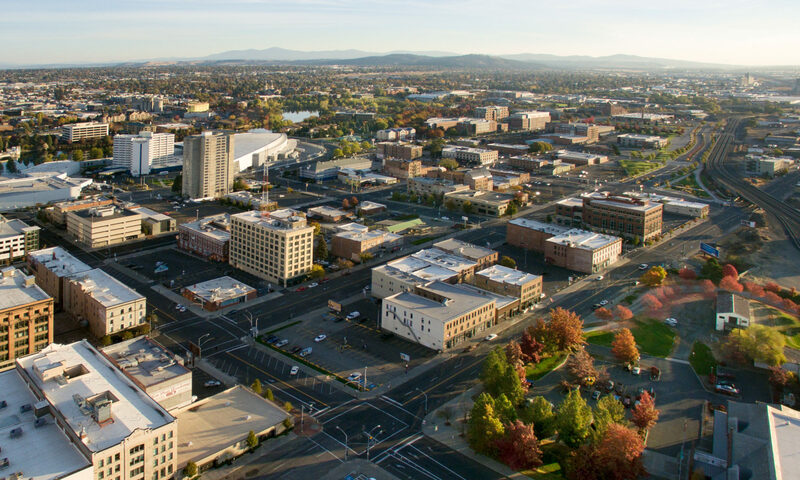 Today we get specific in our run-down of our ideas for the greater Spokane area. We envision a dedicated HOV/Transit Lane on Division Street from downtown to the “Y” or even beyond. Such a lane could be implemented to improve traffic flow, lower emissions, and decrease commute times. With a virtual sea of lanes already in existence on Division, and with many vehicles carrying two or more passengers, the conversion of one lane could make a world of difference. In other cities, such as Sunnyvale, CA and other areas of the Silicon Valley, similar HOV/Transit Lanes have been implemented in the right-most lane, with right-turns permitted from that lane. Other places implement the dedicated lanes in the left-most lane, targeting the facility toward commuters who must travel long distances on that street. Either way, we suggest that an HOV/Transit lane be fully studied in order to determine the possibilities that it could offer in terms of reducing and calming traffic. What do you think? Could an HOV/Transit lane make a difference in combatting traffic? Would it be beneficial to study this idea further? Would syncing the lights on Division be a better use of dollars? Let us know in the comments and in social media on Facebook and Twitter. We want to hear from you!